Now Accepting Athletes 7-18 Yrs - Embry Riddle University, Prescott, Arizona - Register Today! 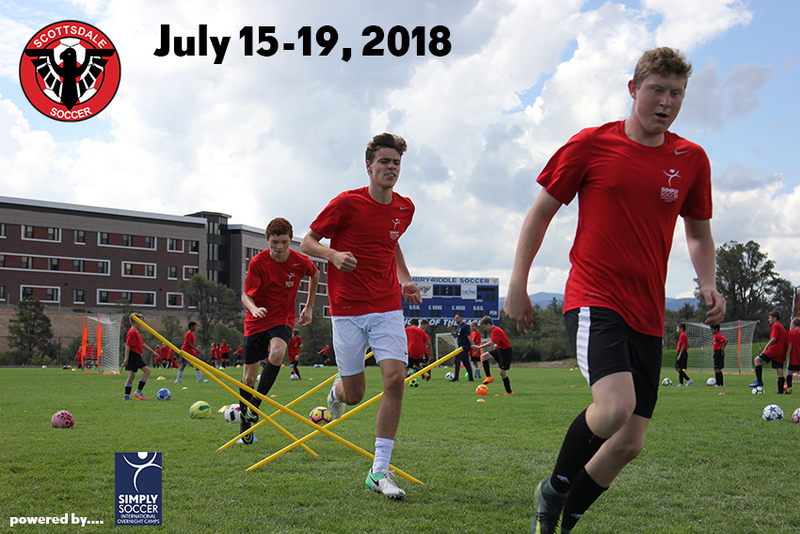 This is the fifteenth year of delivering the Scottsdale Soccer Overnight Camps and they are conducted at the beautiful campus of Embry Riddle University in Prescott, Arizona. Chris Brown (Executive Director) directs the Camp and ensures that your child has an amazing experience. Please visit our website, Facebook and You Tube sites for pictures and video of previous camps. Staff: Our staff is unmatched in their quality and the depth of experience, knowledge and care. Every player is provided with a safe, motivating, demanding and enjoyable environment to thrive. Their organization has an international flavor from Europe to South America. Curriculum: Our curriculum is the core of our success - Speed, Agility and Quickness, Elite Feet, Technical Mastery, Soccer 6’s, Futsal, Soccer Tennis, Goalkeeping and Finishing. We encourage, motivate and challenge players to maximize their potential. The Embry Riddle campus features college dormitories which are in close proximity to the cafeteria and to the soccer fields and the swimming pool. The facility is only an hour and half drive from the city of Phoenix and we offer both Overnight and Commuter options as well as specific programs for both Players and Goalkeepers. Thank you for the consideration - we do anticipate that the camps will fill quickly. Please join us this summer - register online today!